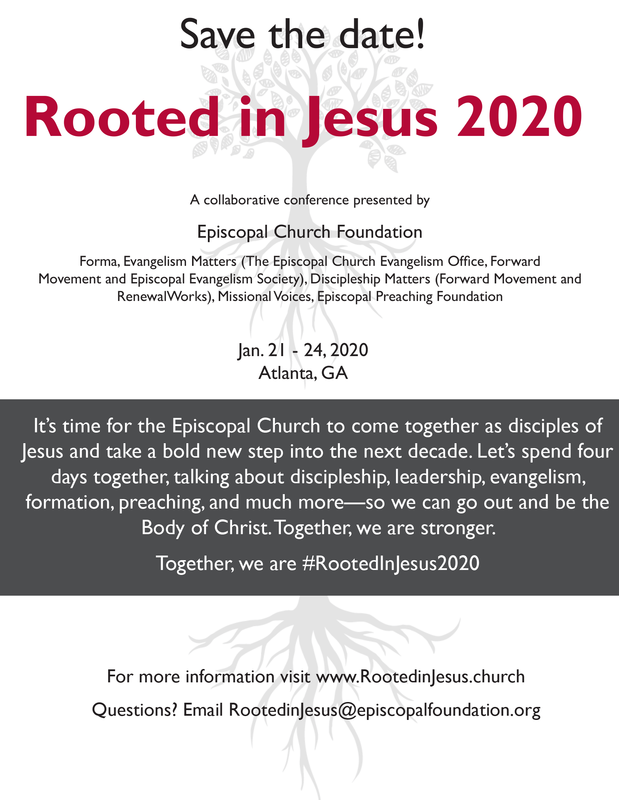 During his sermon at the Opening Eucharist of the 79th General Convention on July 5, Presiding Bishop Curry formally invited the whole church to take up the Way of Love: Practices for a Jesus-Centered Life, as a Rule for the Episcopal branch of the Jesus Movement. The Presiding Bishop offered this rule as a way for us as a church together grow more deeply with Jesus Christ at the center of our lives, so we can bear witness to his way of love in and for the world. 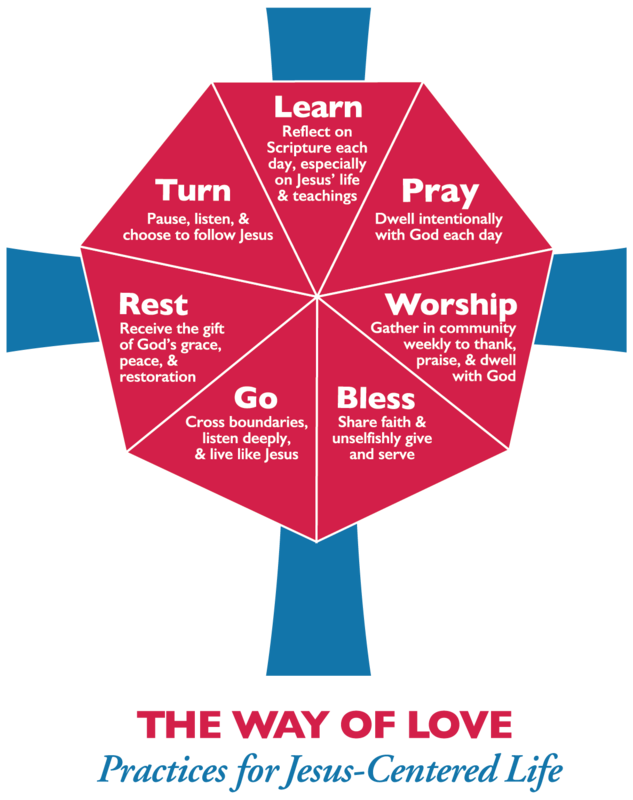 The Way of Love was designed to be spare and spacious, so that individuals, ministry groups, congregations, and networks can flesh it out in unique ways and build a church-wide treasure trove of stories and resources. There is no specific order you need to follow. If you already keep a Rule or spiritual disciplines, you might reflect and discover how that path intersects with this one. By entering into reflection, discernment and commitment around the practices of Turn - Learn - Pray - Worship - Bless - Go - Rest. 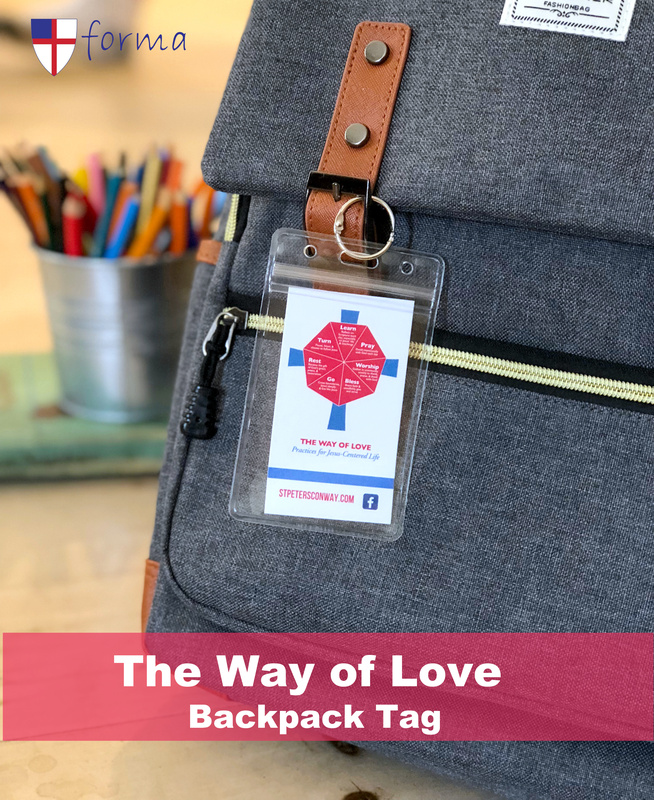 The Way of Love - A post to share with your families from Building Faith. 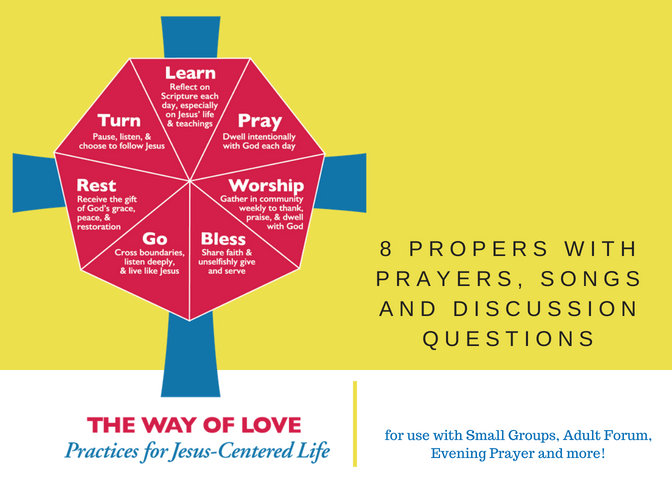 Want to share the Way of Love: Practices for a Jesus-Centered Life with your families and children? 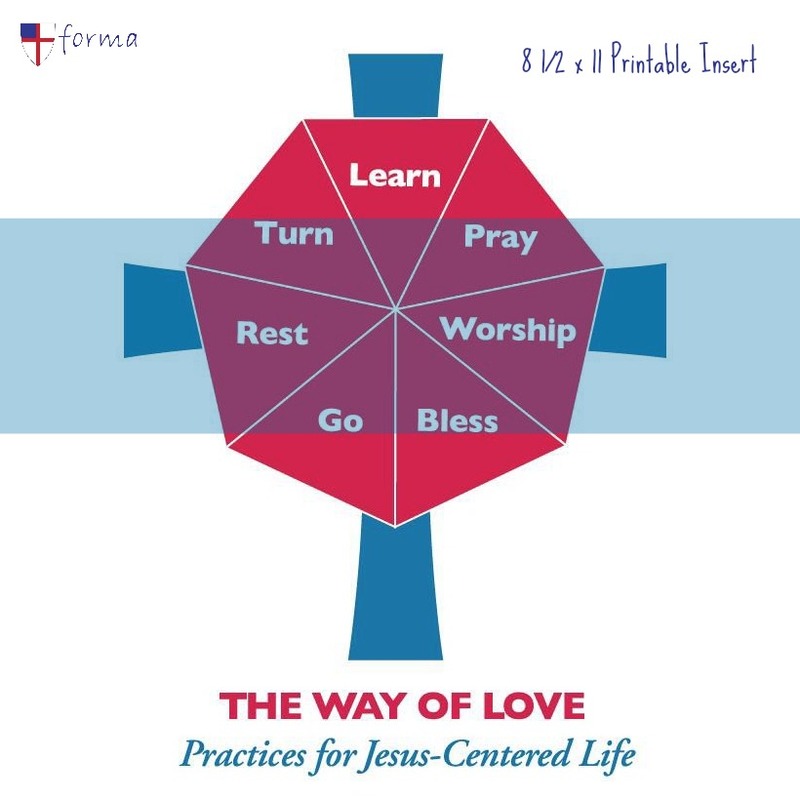 Download the Forma Way of Love resource: The Way of Love Catcher below! 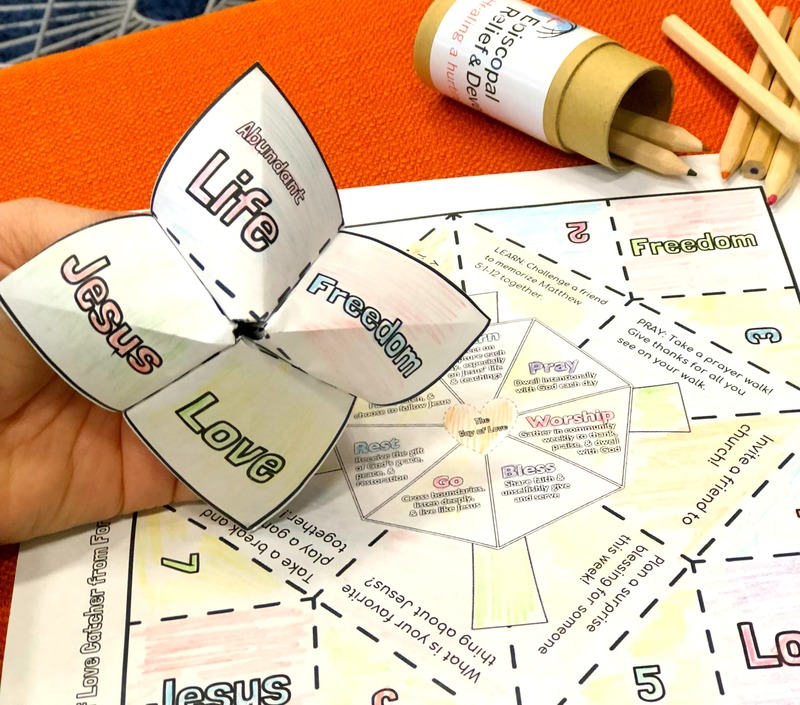 Designed in the model of a "fortune teller" or "cootie catcher" this easy-to-print resource is a great way to introduce these Rule of Life inspired practices to all ages.